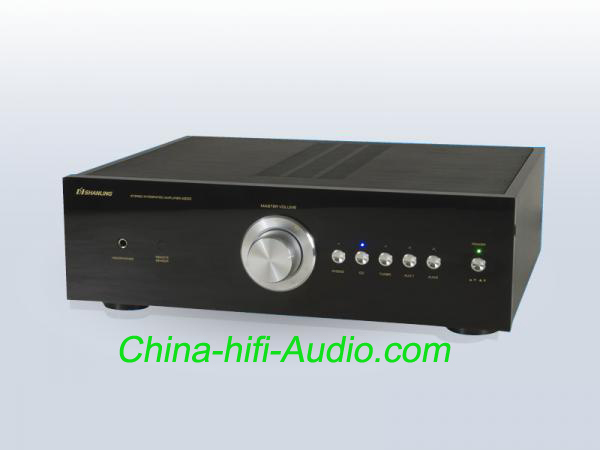 a) Separate phono amplifier circuit and can be used as optional configuration.Control amplifier section uses dual transformer for power supply,with a capacity of 600VA. b) With four 10000uF dedicated high-frequency capacitance and 2 pairs of Toshiba high-power tube (C5200/A1943) for parallel output per channel. c) Intelligent detection and control system to ensure system security.